This December, after years of hard work from a team spanning across the United States, NASA will put America’s future deep-space human exploration spacecraft to the test, flying it further than any human-rated spacecraft has been in over 40 years. The highly anticipated mission, known as Exploration Flight Test-1 (or EFT-1), will put the agency’s unmanned Orion capsule into action to validate the spacecraft’s design, with the data collected being used to further perfect Orion’s capabilities before NASA puts astronauts onboard for deep-space crewed missions starting early next decade. The upcoming 4.5 hour orbital flight test is currently scheduled to launch from Cape Canaveral Air Force Station in Fla. shortly after 8:00 a.m. EDT on December 4, thundering skyward atop one of the largest and most powerful launch vehicles in history; the mammoth United Launch Alliance (ULA) Delta-IV Heavy rocket. After its first orbit (two hours after liftoff) Orion will perform a burn to reach an altitude of more than 3,600 miles—15 times higher than the orbit of the International Space Station and 10 times higher than any human-rated spacecraft has been since 1972, when the crew of Apollo 17 visited the Moon. Doing so will give engineers the opportunity to evaluate Orion’s performance in a way only a real spaceflight can; computer simulations, scale model tests, and ground testing only goes so far. While NASA’s iconic Space Shuttles carried out missions in low-Earth orbit, Orion is intended to fly astronauts on deep space missions, and so Orion will hit Earth’s atmosphere on reentry much faster, and harder, than the Space Shuttle did. 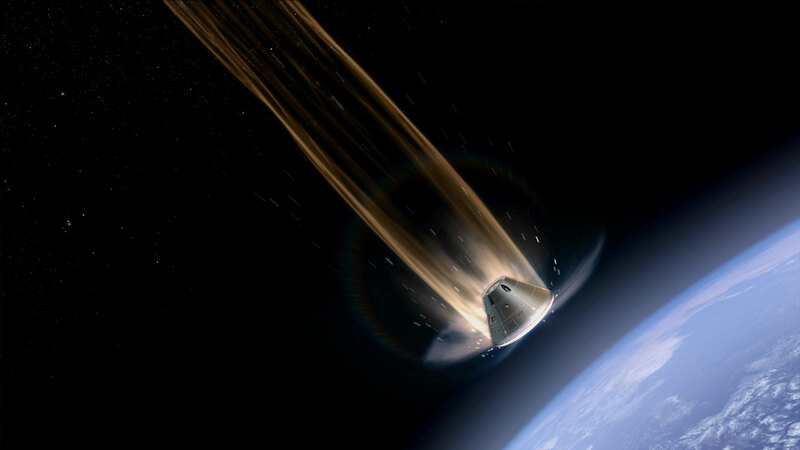 The Shuttles hit the atmosphere on reentry at around 17,000 mph; when Orion returns on the EFT-1 mission it will hit the atmosphere at 20,000 mph, bringing hotter reentry temperatures of up to 4,000 degrees Fahrenheit to go with its faster velocity, simulating a return from a deep space mission and giving engineers the opportunity to evaluate its launch and high speed re-entry systems, avionics, attitude control, parachutes, computers, software, guidance and control, the separation events, and the performance of Orion’s critical heat shield. All of Orion’s avionics components were installed earlier this summer, and engineers with Lockheed Martin (Orion’s prime contractor) have completed functional testing on the crew module’s 59 systems—methodically powering them up one by one. Performance testing, where all of the systems work together to operate Orion as a whole, was completed last spring prior to installation of the capsule’s state-of-the-art ablative heat shield, which is outfitted with over 200 instrumentation sensors to provide engineers with data about the heat shield’s ability to protect Orion. A titanium skeleton and carbon-fiber skin gives the heat shield its shape, and will provide structural support during landing. A fiberglass-phenolic honeycomb structure is installed on the skin, which holds 320,000 cells filled with Avcoat—a specific ablative heat shield material that will wear away as it heats up during Orion’s violent 4-mile-per-second re-entry through Earth’s atmosphere. 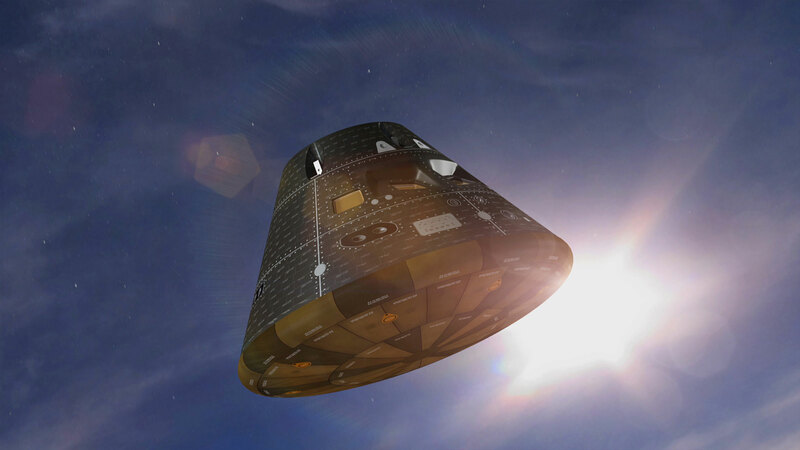 The Avcoat will prevent heat from being transferred to the rest of the capsule, thus helping the spacecraft to survive its intense fall and splashdown in the Pacific Ocean. 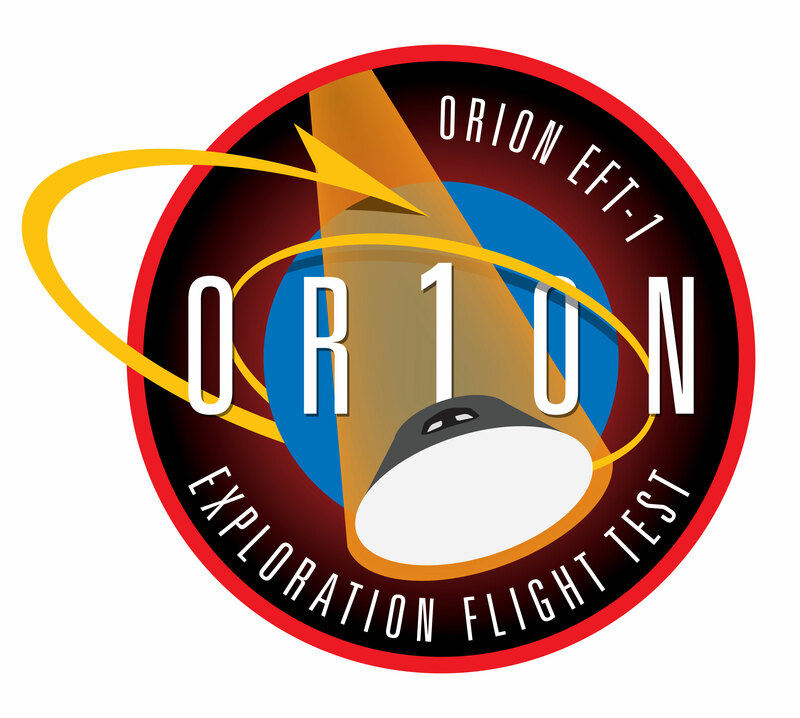 One of the lesser known tests for the upcoming EFT-1 flight will demonstrate Orion’s ability to operate after sustaining damage from a micrometeoroid hit, a very real threat to crews on any future deep space missions. Two of Orion’s 970 protective space shuttle thermal tiles, which make up the space capsule’s cone-shaped back shell, have holes in them to mimic damage from a micrometeoroid hit. Sensors on the vehicle will record how high temperatures climb inside the holes during Orion’s return, which will inform future decisions about what kind of damage may warrant a repair in space when Orion flies humans next decade. Currently, the spacecraft is inside the Launch Abort System Facility (LASF) at KSC, where the last piece of its flight hardware was recently installed, the emergency launch abort system (LAS). Orion is already fueled with ammonia and hyper-propellants for its EFT-1 mission as well, and will be transported to nearby Cape Canaveral Air Force Station Space Launch Complex 37B for stacking atop its Delta-IV Heavy rocket around Nov. 10. The enormous ULA Delta-IV Heavy rocket Orion will leave Earth on is now vertical on the launch pad too, having moved there from its nearby Horizontal Integration Facility just a couple weeks ago after ULA’s Delta launch team finished conducting the final horizontal processing of the triple-core booster. The rocket’s upper stage, which will fire after the initial launch to send Orion farther into space than any human spacecraft has gone in four decades, arrived at the Florida launch site by barge last May, along with the spacecraft adapter and 133-foot-long port booster. The two other common core boosters, each powered by a liquid-fueled RS-68 engine capable of producing over 660,000 pounds of thrust, arrived in Florida last March. When the rocket finally ignites its three RS-68 engines will throttle up to over two million pounds of total thrust to send Orion off on its important flight test. Now that the rocket is at the pad ULA’ Delta launch team is conducting extensive launch vehicle readiness testing, which will be followed by fueling the Delta-IV Heavy with liquid Hydrogen and liquid Oxygen to perform a Wet Dress Rehearsal, which is basically a practice countdown without actually firing the engines. Shortly after Wet Dress Rehearsal, Orion will be stacked on top of the Delta IV Heavy Launch vehicle, and a few weeks later will launch. 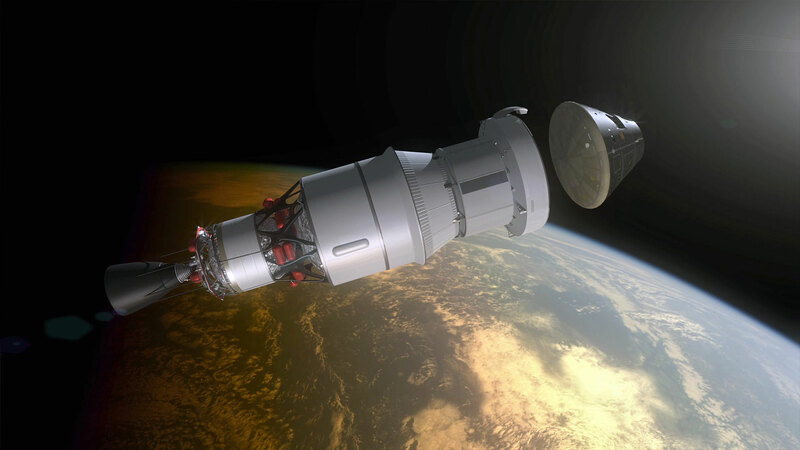 Orion’s EFT-1 mission is very high profile, as it will pave the way for sending humans on the kind of deep-space missions that inspired so many during the glory days of NASA’s Apollo program, which landed 12 men on the moon between 1969 and 1972. Orion is being designed to be reusable for up to 10 flights, capable of carrying four to six astronauts on missions to destinations deeper into space than any human spaceflight mission has ever been. After the EFT-1 test flight, Orion will be put through its first integrated launch in 2018 on the first flight of NASA’s Space Launch System (SLS) heavy-lift rocket, the largest and most powerful launch vehicle in history. The mission, Exploration Mission 1 (EM-1), will put the entire integrated system into action, sending Orion more than 40,000 miles beyond the Moon to a deep retrograde orbit where an asteroid could be relocated as early as 2021. The eventual goal, however, is landing humans on Mars, and Orion’s EFT-1 mission will lay the foundation for a mission to Mars to become a reality by the 2030’s.